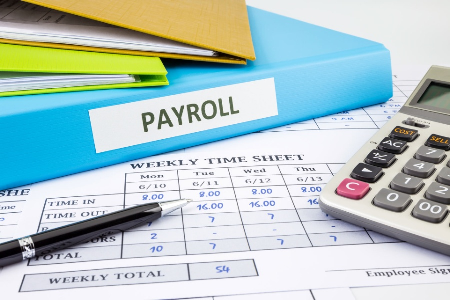 Every business with employees should have a payroll system in place that takes care of all the payroll activities that include paying employees on time and meeting statutory requirements. Payroll management involves several aspects and this is all the more complex in organizations that have all kinds of employees like full time, part-time, and independent contractors. As per the HR consulting firms, it is crucial for every business to pay its employees accurately and on time as well. Even small errors in the payroll system may lead to grave circumstances that are detrimental to business wellness and growth. We shall look at some of the common mistakes that can be avoided or rectified with little efforts. Payroll system that doesn’t fit: Building a payroll department is a serious issue and with due consideration, it has to be decided what kind of payroll system is needed for the business. Many organizations fall short in understanding their business needs and choose a payroll system that doesn’t fit their needs. HR consultants say this kind of mistake shows an impact over time in the form of delayed payroll or inability to meet compliance standards. Meeting deadlines: One of the important aspects of a payroll system is meeting various deadlines and adhering to all the statutory requirements perfectly. However, many organizations do not succeed in this aspect as they lack professionals who are well-versed with the various tax and compliance regulations apart from the regular salary calculations and disbursement. To avoid this, what organizations need to do is either hire expert HR professionals on board or outsource the payroll job to HR management consulting firms that have the right mix of experience and expertise in handling all the tasks related to payroll. Improper classification: Another aspect where many organizations err is the classification of employees which could be complicated and confusing when there are different kinds of employees who work full time, part time, on rolls, and as independent contractors. It helps to hire HR consultancy services to manage the payroll system of a business because different employees need to be treated differently for salaries and tax purposes. Not taking confidentiality seriously: Even small negligence on the part of HR employees to maintain confidentiality can lead to severe consequences as employees tend to compare their payroll with that of others which results in dissatisfaction among them. HR consultants insist that payroll should be managed with high levels of confidentiality and in a secure environment. Inadequate backup: Many organizations hire very few employees in their HR departments which could become a serious problem in times when the person handling the payroll system is unavailable due to ill-health or any personal emergency. The employees of the organization need to be paid on time and all the due taxes have to be remitted accurately within deadlines to avoid any kind of penalties. This requires that the organization has more than one proficient HR professional on board to perform all the tasks accurately without any delay. To manage their payroll system without committing such errors, organizations should either hire experts in the field as their full-time employees or outsource the task to one of the top HR consulting firms that have expertise and resources to perform the job with efficiency.